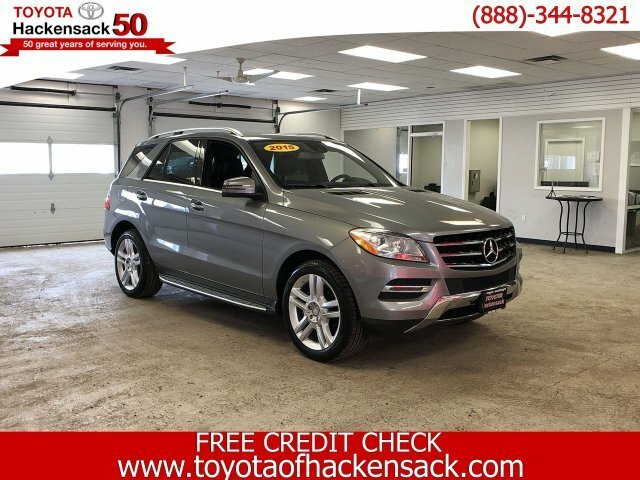 Palladium Silver Metallic 2015 Mercedes-Benz M-Class ML 350 4MATIC 4MATIC 7-Speed Automatic 3.5L V6 DOHC 24V 4MATIC , Black w/MB-Tex Leatherette Seat Trim, Blind Spot Assist, Navigation System. Recent Arrival! Odometer is 5870 miles below market average!